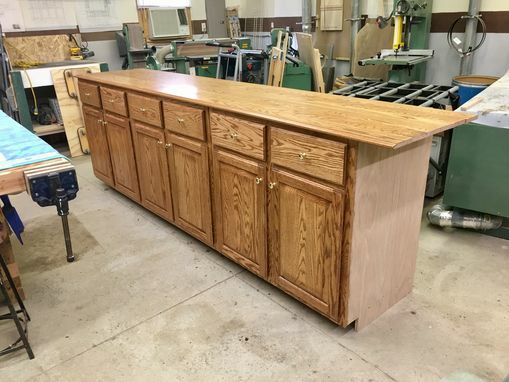 Customer wanted a tall Buffet to serve family holiday meals without having to clutter the dining table. The current kitchen cabinets were made by a contractor who is now retired; new cabinets needed to match the style, color, & finish. All cabinets are constructed of solid oak, oak plywood, & other hardwoods. 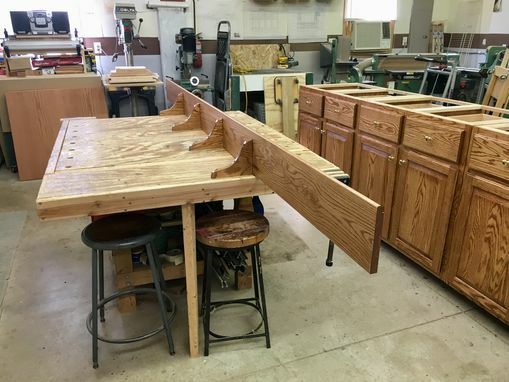 Cabinets were made individually & connected during installation on-site. The solid oak top is 25" wide and was trimmed during installation to fit the space. An oak backsplash was installed after the top was secured. Additionally, customer wanted a wall shelf with arched supports mounted above the Buffet. 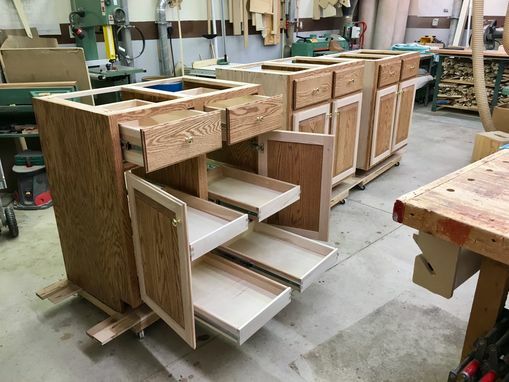 All drawers & pull-outs are constructed using dovetail joinery & move smoothly on ball bearing slides. Each cabinet has a deep top drawer & 2 pull-out trays inside. 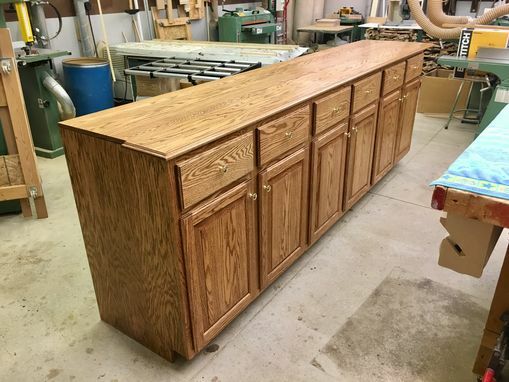 Only a 2" filler piece was needed to complete the installation of the oak Buffet. After a thorough sanding, the cabinets were stained. Several coats of a satin polyurethane were applied to the oak cabinets. Please contact craftsman through Custommade.com for additional information concerning completion time & installation.